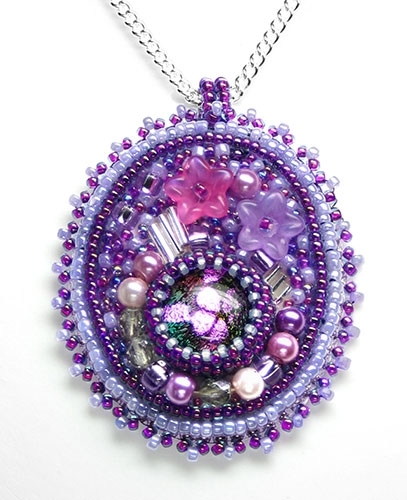 BEAD KITS > Bead Embroidered Pendant Kit "Enchanted"
Make your own bead embroidered pendant with this full kit! 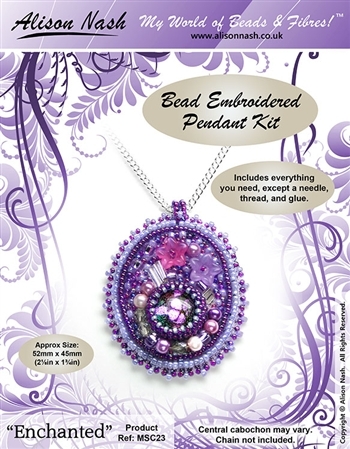 Includes everything you need to make the pendant, except a needle, thread & glue. Central cabochon may vary. Chain not included. This kit is also available in Turquoise & Blue. This kit is not for large commercial use, but you can make and sell up to 20 pendants per year. BEAD KITS > Bead Embroidered Bauble - Amber & Gold BEAD KITS > Bead Embroidered Flower Pendant Kit BEAD KITS > Bead Embroidered Wishing Well BEAD KITS > Bead Embroidered Pendant Kit "Atlantis"